The Refuge recently appointed Janet Romano Schubert to their Council of Trustees. 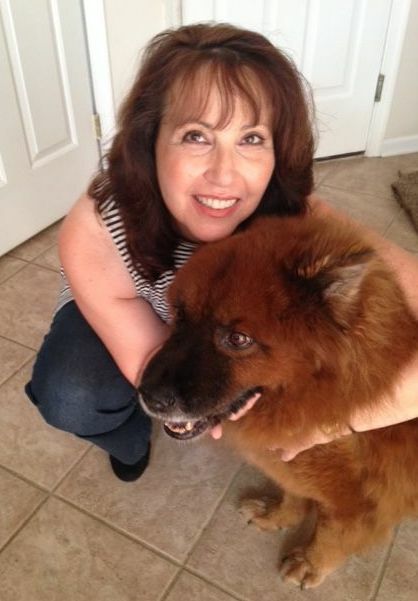 Janet is a long-time animal activist and supporter of the Refuge. 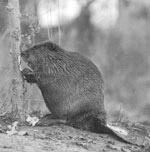 When a family of beavers moved into a holding pond behind Vianini Pipe in Whitehouse, NJ, we had initially suggested flow devices and bafflers. 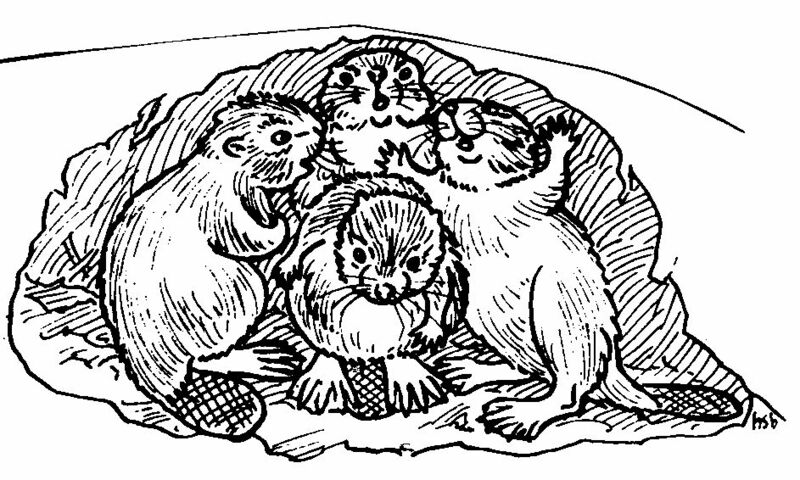 But, because the pond was to be drained, the only reasonable  and humane  option was to either relocate the beavers or discourage them from remaining in the pond. Relocation is never a good option for wildlife because it does not allow the animals to choose a suitable site and may cause issues with the same species living at the relocation site chosen by people. Given that the pond was to be no more, we suggested that employees adopt a regimen of dismantling the dam every day in the hopes that this would eventually discourage the beavers from staying. We warned that this requires patience and tenacity on the part of the people because beavers are known to quickly and persistently make repairs  which they did in this case. We are happy to report that the employees persisted in their efforts and after about three weeks, the beavers gave up and moved out of the area. Although this is not an ideal solution, it was the best option for the given circumstances. The Refuge receives several calls every month from individuals asking for help with wildlife issues. Because we are not a rehabilitation center, we generally refer the people to a licensed facility. It is critical, however, that people do not unwittingly cause harm by interfering in situations where wildlife should be left alone. 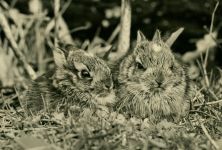 As an example, we had a call from a concerned homeowner who had found a few baby rabbits in her yard. Thinking the rabbits were "abandoned", she brought them into the house and began feeding them cow milk with a dropper. It is more likely that the babies had simply been temporarily left alone by the parents who were seeking food for themselves. When in doubt, it is better to leave such individuals where they are and monitor from a distance to see if the parents return. To reiterate: It is normal for baby animals to be left on their own for short periods. Please resist the urge to 'help' them as you are more likely to cause serious harm. In the case of these unfortunate rabbits, not surprisingly, at least one died while in the 'care' of the person. Because it was probably too late to release the remaining babies back to their origin, we urged the woman to at least take them to a rehabilitation center and were promised this would be done immediately. As an aside, milk from domesticated species such as cows is not an adequate substitution for the nourishment a baby wild animal would receive from their mother. It could even incapacitate or kill the individual. We attended the September meeting of the Pinelands Commission. 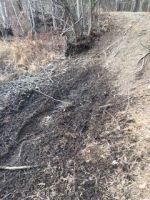 The public comments section was dominated by concerns for the damage caused by off-road vehicle use in our state parks and on other public land. We shared our story about the damage to our trails and wetlands regions by illegal entry into the Refuge by people on these vehicles. After the meeting, a group of dedicated individuals promised to come to the Refuge to help with the creation of additional barriers to curtail this type of invasion (see next story). Our deepest gratitude goes to everyone who donated to our GoFundMe campaign to help us raise money to install extra trail protections at the Refuge to discourage illegal off-road vehicle use near some ecologically sensitive wetland areas. 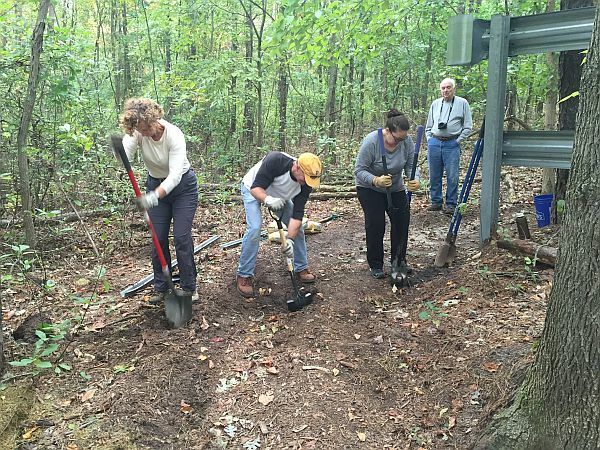 We were not able to meet our goal to purchase boulders, but received invaluable help by the Pinelands Protection Alliance (PPA), some of whose members we met at the Pinelands Commission meeting (story above). 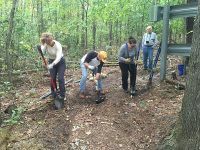 Volunteers from this group  whose mission is to protect our unique Pinelands ecosystem  spent a day building layers of bulwarks against four-wheel vehicles and dirt bikes. The photo shows, left to right, Lee Yeash, John Silverio and Erin Pierson hard at work, being supervised by Albert Horner. 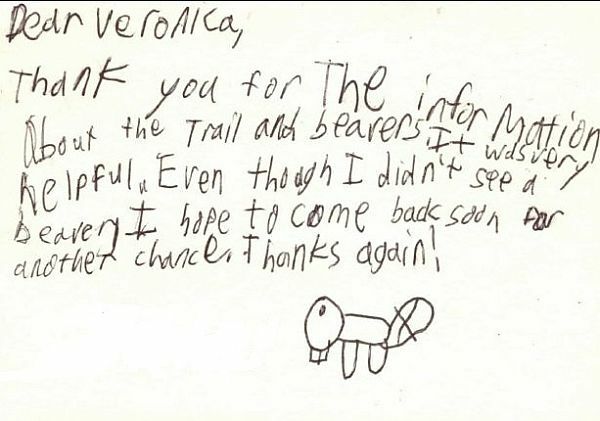 An enthusiastic 11-year-old boy recently visited the Refuge. He came equipped with his binoculars, hoping to see his favorite animal, the beaver. Although he was not rewarded with the sight of the object of his desire, he enjoyed the other sights and sounds and came away undaunted, promising to return with hopes of fulfilling his wish next time. 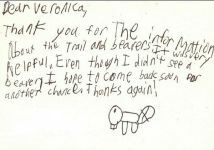 As we reported on Facebook, notes like this one sent to us by this boy remind us of how important it is to instill wonder and respect for wildlife in the children of the world. These young people will be making critical decisions about how human beings relate to their environment. They are more likely to protect what or whom they understand. That is why one of the major programs of the Refuge is to provide humane and environmentally responsible education for the public. If you follow us on Facebook or visit our Web page, you will have seen our collection of lovely T-shirts for sale through our Galloree.com Shop. These shirts were designed using selected artwork from the original sketches by Refuge co-founder Hope Sawyer Buyukmihci. Hope spent much of her time studying and recording (via paintings and photography) the varied wildlife residing at the Refuge. The images on the shirts represent a microcosm of the plethora of work done by this talented artist and naturalist. The shirts themselves are of good quality, soft and durable. They come in different colors and styles, some using organic material. This Refuge, which has grown to nearly 800 acres of rigorously protected habitat, is home and sanctuary for hundreds of animal and plant species; many of the animal species have been here for generations. We depend entirely on the support of our donors! We  and the wildlife  could not exist without you. We know that you have limited resources and need to consider which of numerous worthwhile causes to support. We hope, however, that you can find it possible to give us a donation  today  of any amount. We need your support right now. Our small operating costs continue to exceed our donations. In addition to purchasing our T-shirts, there are many other ways to support us; go to our Help Us page on our Web site for more.